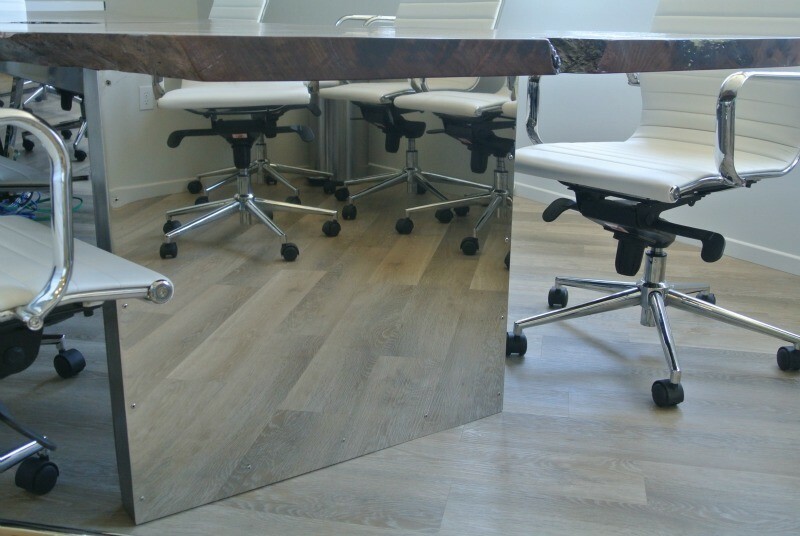 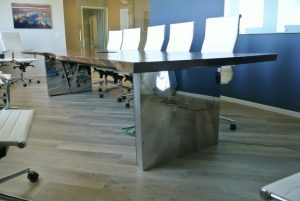 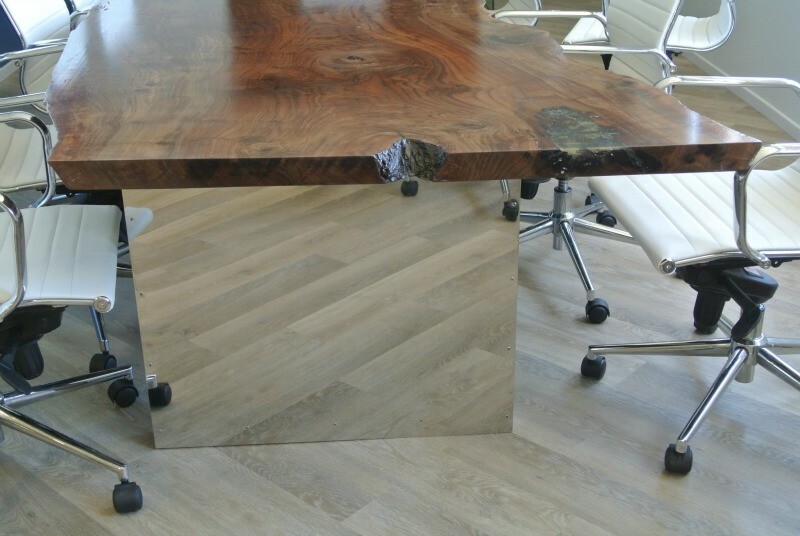 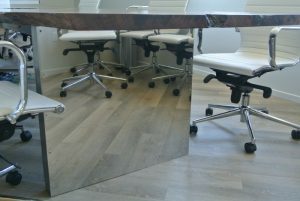 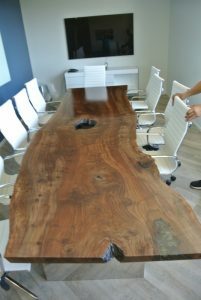 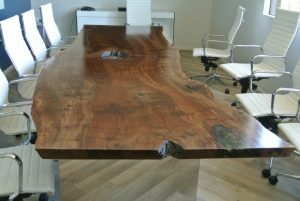 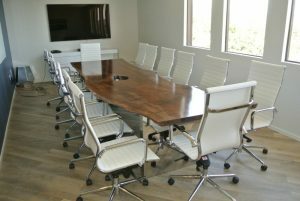 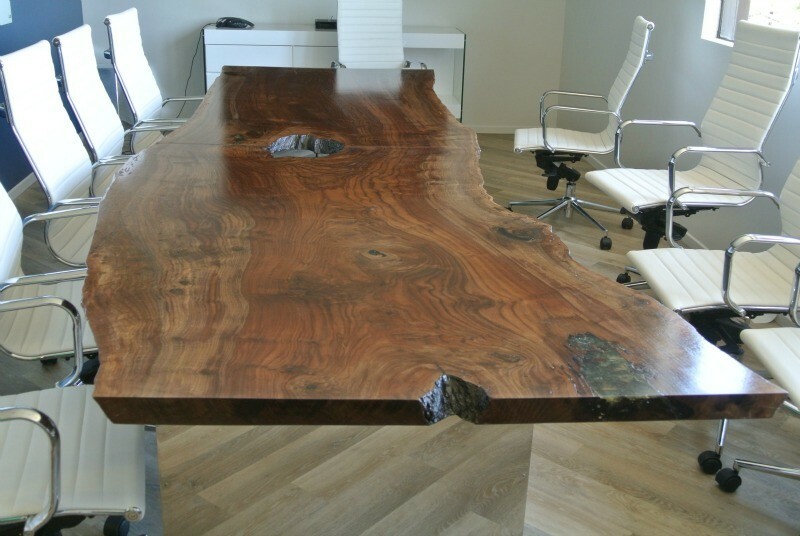 This is a custom Claro Walnut slab conference table that we recently built for a client in Santa Barbara, Ca. 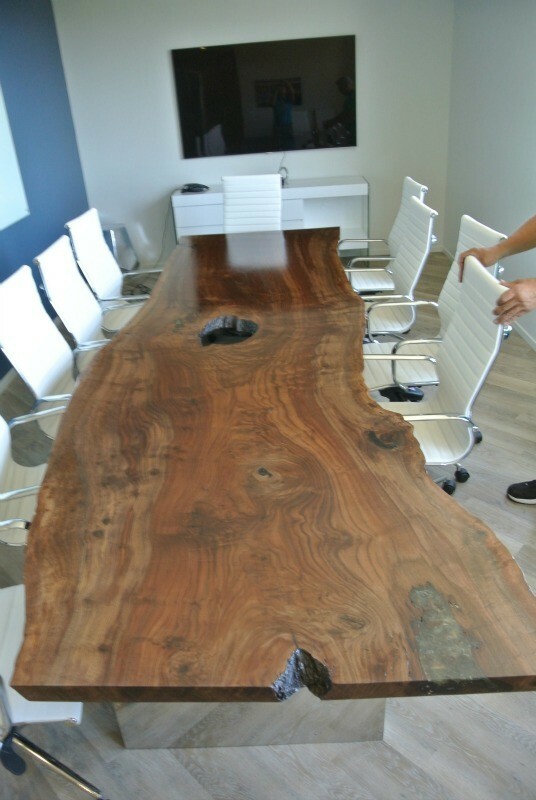 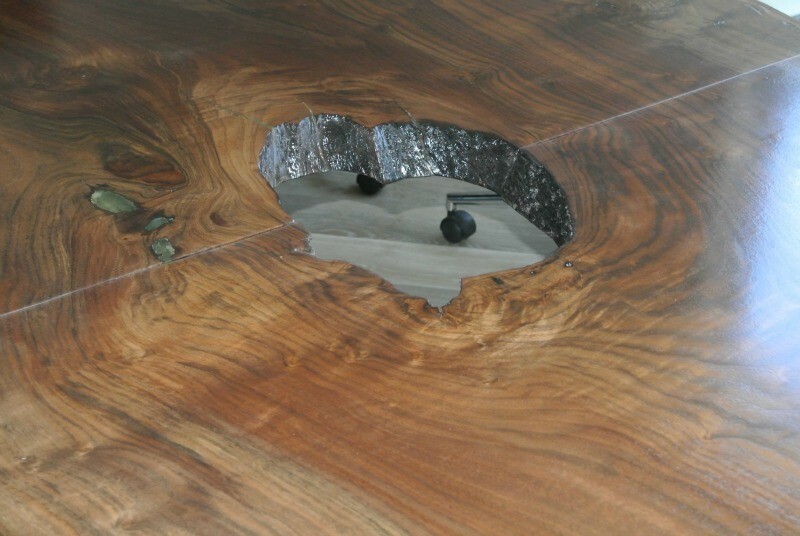 We used a solid 12′ long Walnut slab that grew with a natural hole in the center and cut it into 2 pieces. 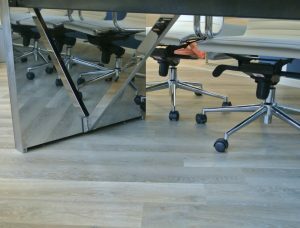 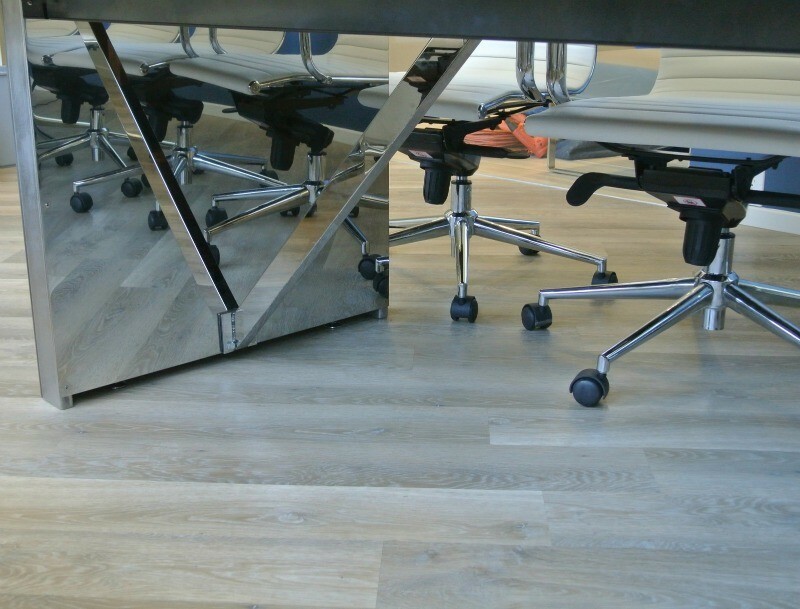 We built the base out of 1″x3″ stainless steel tubing and wrapped it with mirrored stainless steel. 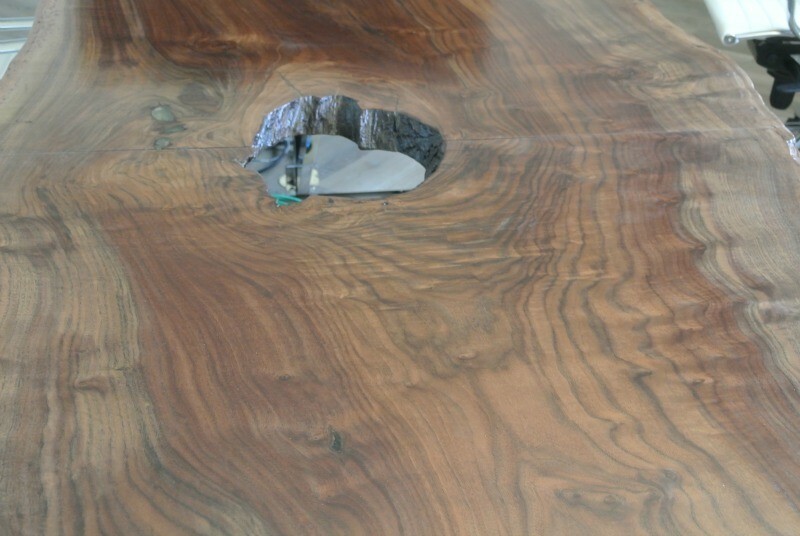 The top and bottom are finished with multiple coats of conversion varnish. All cracks and checks were filled with epoxy resin.